basil, olive oil, romano cheese made from cow's milk (cultured part skimmed cow's milk, salt, enzymes), garlic, salt, lactic acid, spice, natural flavor. The Genoan’s made the world’s first pesto, crushed from fresh basil, olive oil and garlic. 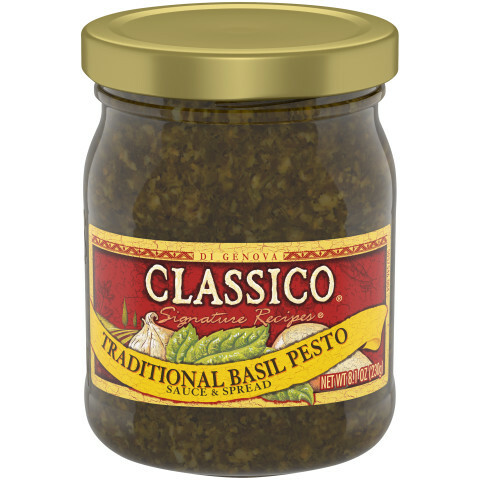 Enjoy the same traditional recipe at home with Classico®Basil Pesto. ZERO stars if I could. Do not buy this product! I understand that this will never taste like fresh pesto. I expected to taste a hint of basil. I did not. 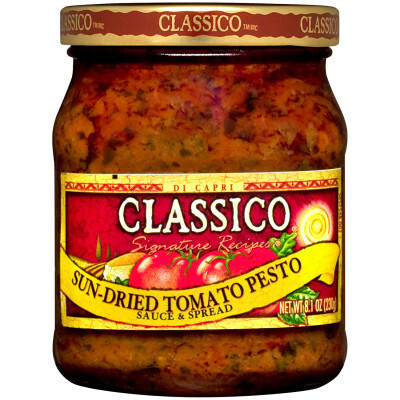 Classico, do better or don't sell it. I bought 2 jars, they look MILKY!!!! I don’t trust to use them at ALL!!!!! Not the same as it used to be.